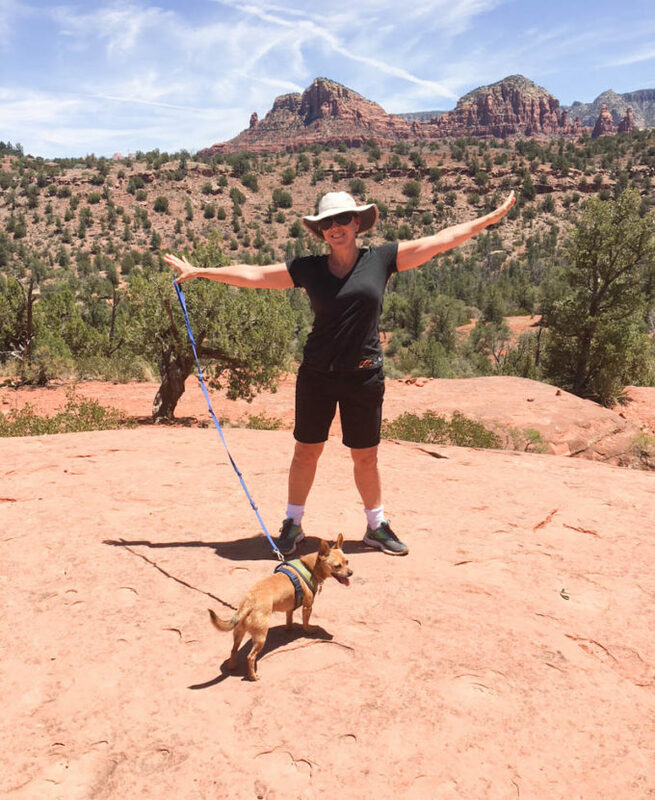 This past June my husband, myself and my dog Luigi traveled to Sedona, Arizona for a 10 day vacation. Let me tell you there are amazing things to do there. 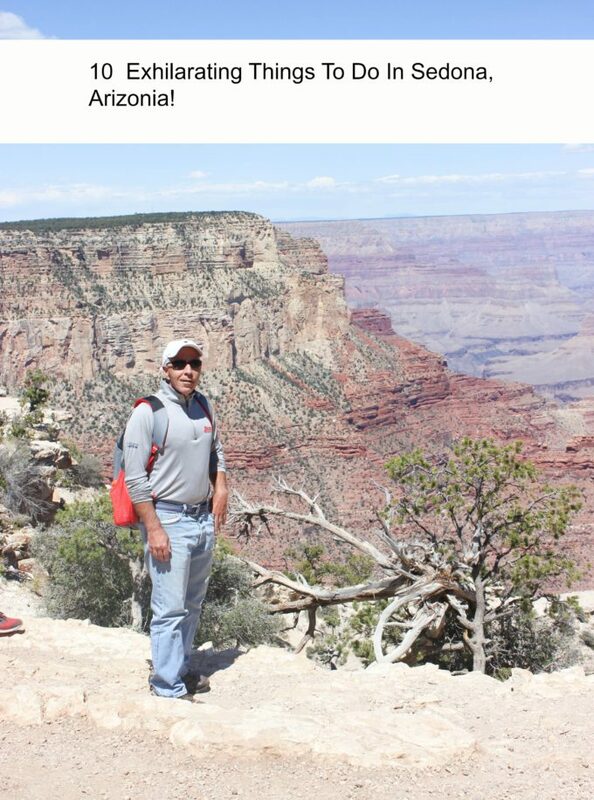 So if you are up for an 10 exhilarating things to do in Sedona Arizona than this trip is for you. We arrived at our hotel called Kimpton Amara Hotel. It’s a stylish hotels that is pet friendly. The hotel was situated high in the mountains right in the center of the town. Sedona elevation is 4,350′. So there are views everywhere you go. The entrance to the hotel is quite steep. I loved that we had to walk up and down the hill to get to the town. There is a shuttle that can drive you, but I love the walk. It means I can eat more dessert. Later in the evening we took that steep walk to see what there is to do in Sedona in the evening. Lots of places to eat, and the local street entertainment was fun. We explored some more around the village of Sedona. Sedona history is abundance. You can read more about it here. 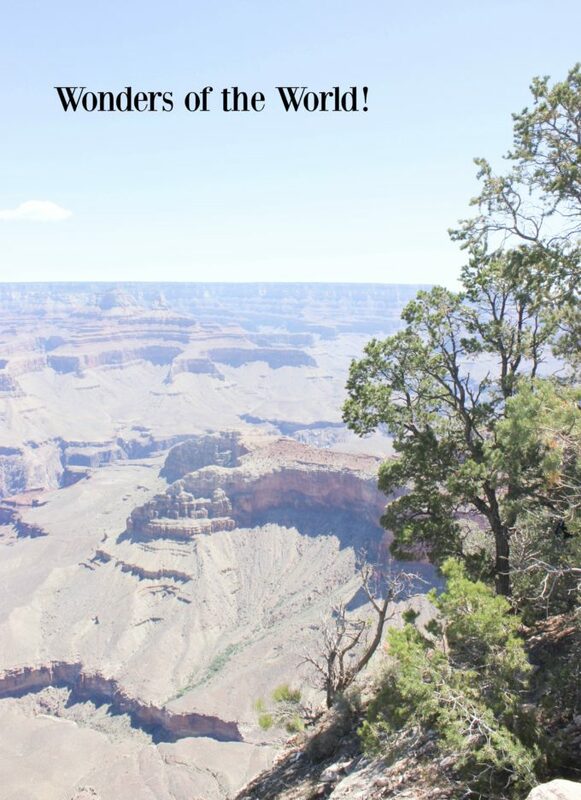 It is surrounded by red-rock buttes, steep canyon walls and pine forests. 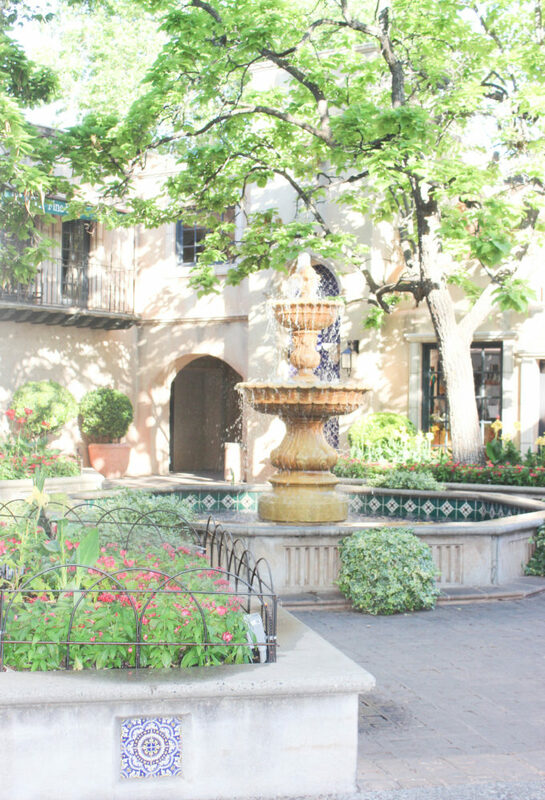 Uptown Sedona energy is dense with new age shops, spas and art galleries. 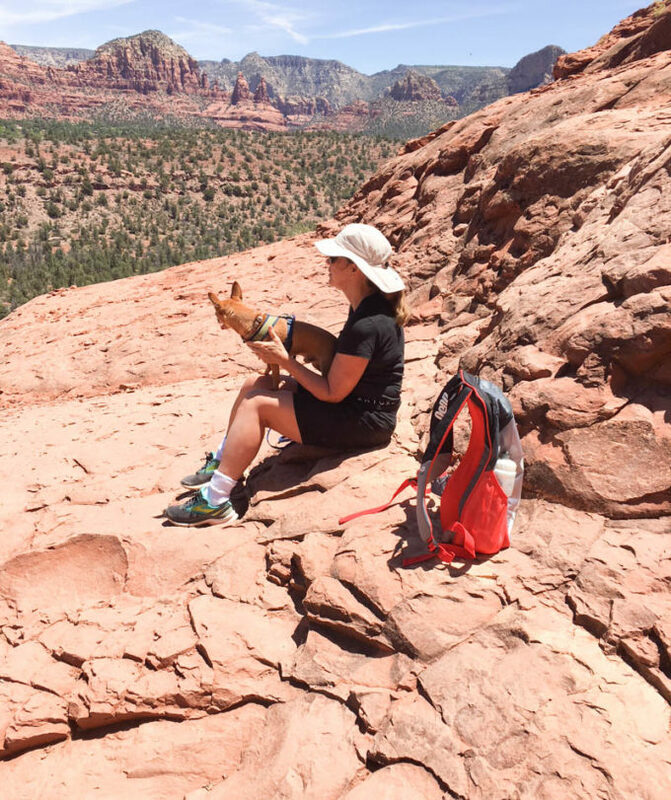 On the town’s outskirts, numerous trails access to Red Rock State Park, which offers bird-watching, hiking and picnicking spots. 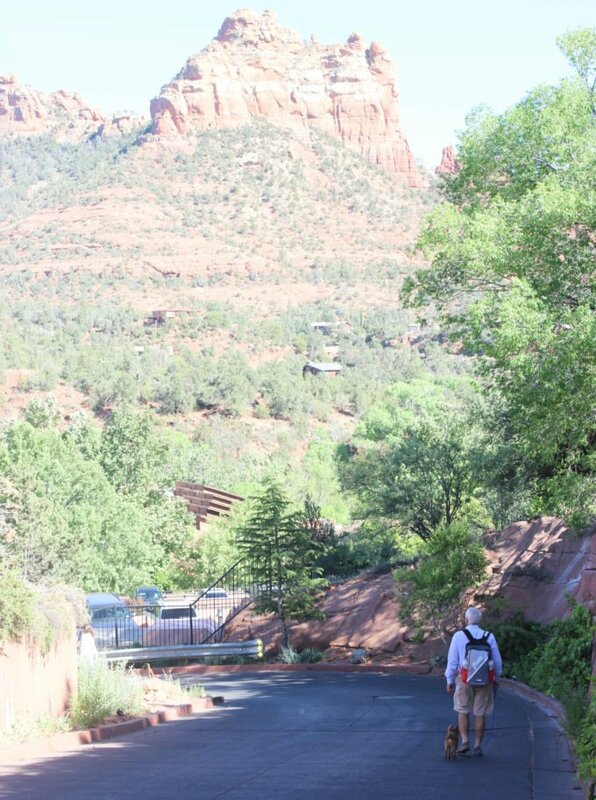 We rented some mountain bikes and spent most of the morning riding all around Sedona. The paved bike trails are wide and people driving are courteous to bikers. The exciting part of the ride was the winding roads. It will be a ride your won’t forget. 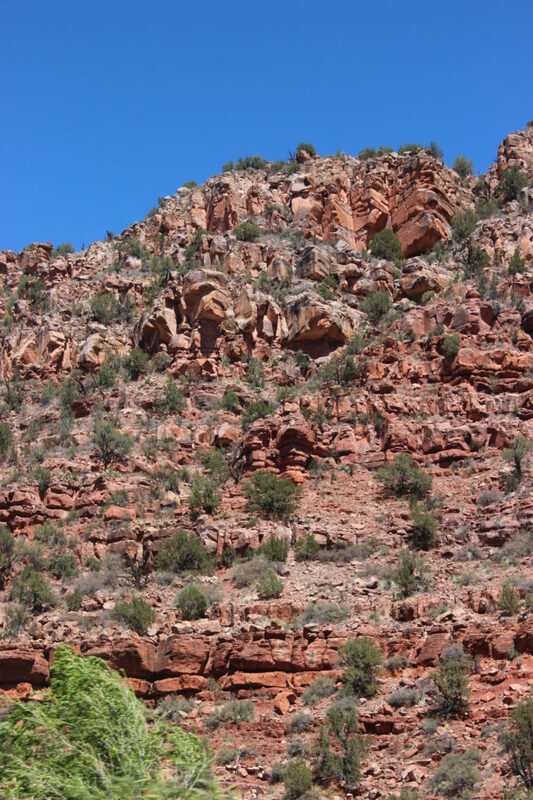 We got acquainted with the red rock trails and winding canyon roads. 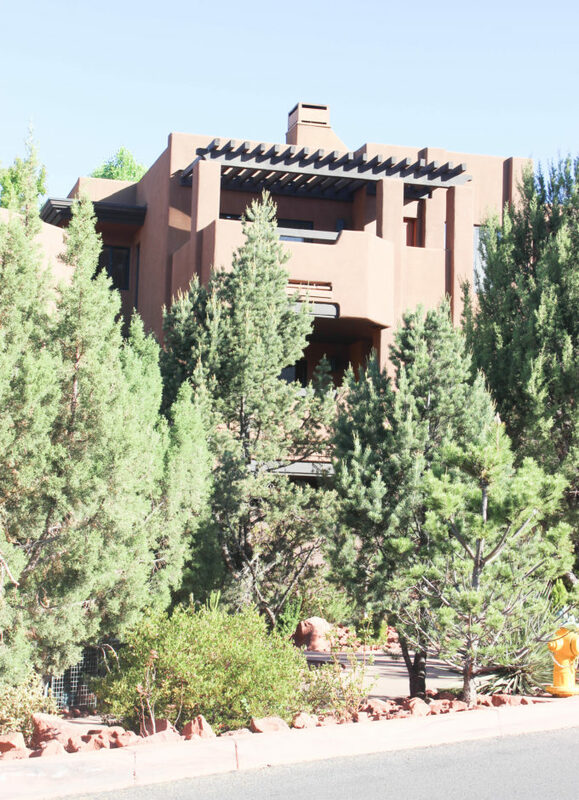 The Sedona desert is filled with wildlife and so many unique homes nestled in the mountains. You can see coyotes, bob cats and many unique birds. On one of our morning leisure rides with the doggie in the basket we saw a coyote walking around on a side street. I was a bit nervous but we ended going the other way pretty quickly. Normally they will not bother you. 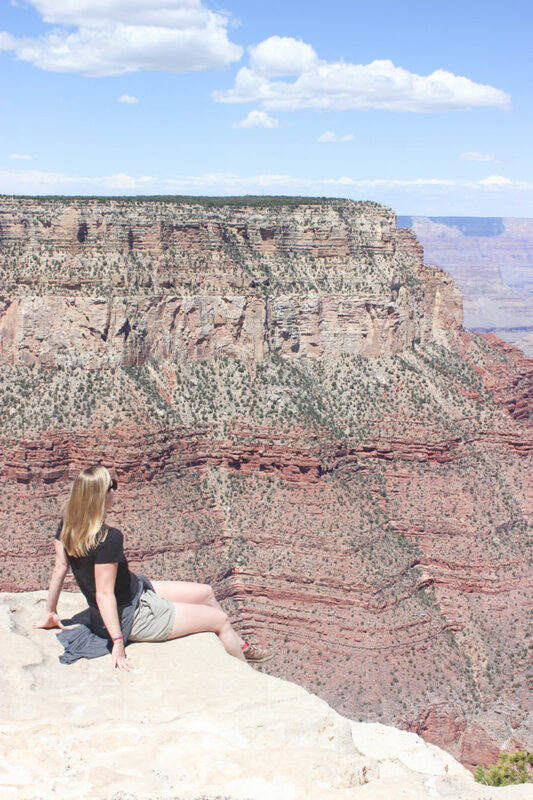 We reserved a day trip to the Grand Canyon by the Sedona Pink Jeep! They pick us up by van at our hotel. It was a beautiful scenic drive to get there. The drive itself was exhilarating with lots of cliffs and canyon views. I had to close my eyes at times. The Grand Canyon was beautiful. Just another wonder of the world. As much as I love visiting it. I loved the Sedona mountains more. 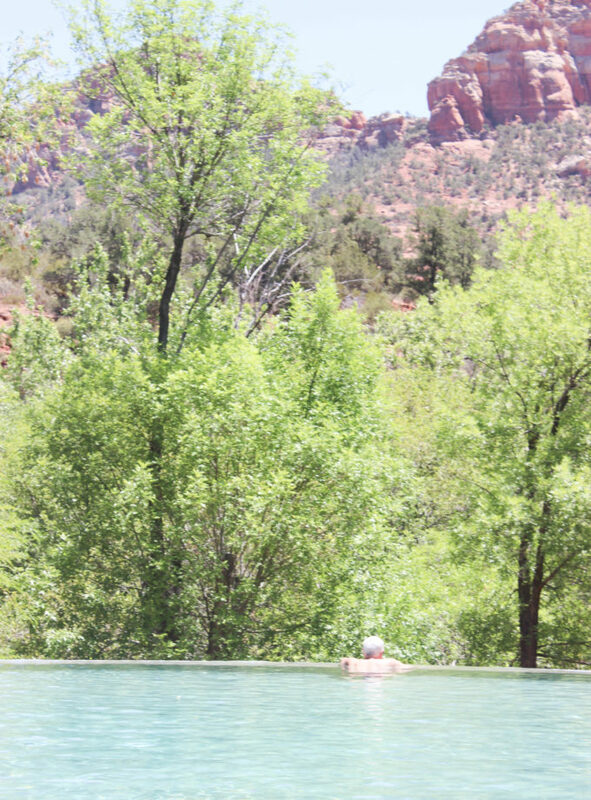 There was more to do in Sedona and less crowds. We spent the next two days at many Sedona red rock vortexes. There is a spiritual feeling when you are hiking the vortexes. Even my dog Luigi seemed to enjoy it. Climbing the Sedona mountains were easy and it was well-marked with safety signs where to walk. You are not tangling off a mountain with a rope or anything. It’s just a slow elevation climb and very exciting when you get to the top. There were all ages from young to old climbing. When you reach one of the vortexes you can sit and meditate for while. There are 5 Sedona vortexes which are Cathedral Rock/Red Rock Crossing Vortex/Airport Vortex/Boynton Canyon Vortex/Bell Rock Vortex. I went to Bell and Boynton Canyon. Each require a good morning to climb and enjoy the sites. Bring plenty of drinks and snack for energy. We drove to Clarksdale which is only a 20 minute ride from Sedona. We hopped on a train ride through the Verde Canyon. There was abundance of native flora and fauna, rugged, high-desert rock faces and spectacular vistas. We did not have time to stop at Clarksdale but I advised to go there. I heard its an upcoming charming town with lots of great places to eat and wine vineyards. 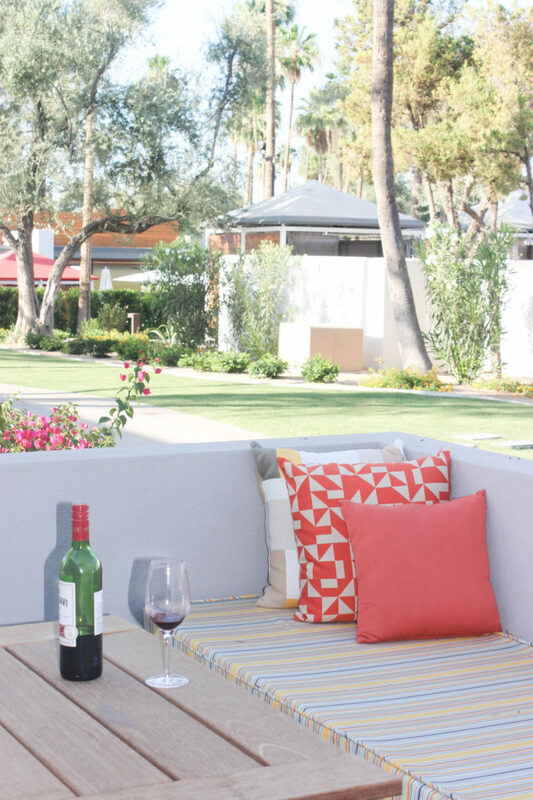 Last few days of our trip we headed to Scottsdale. 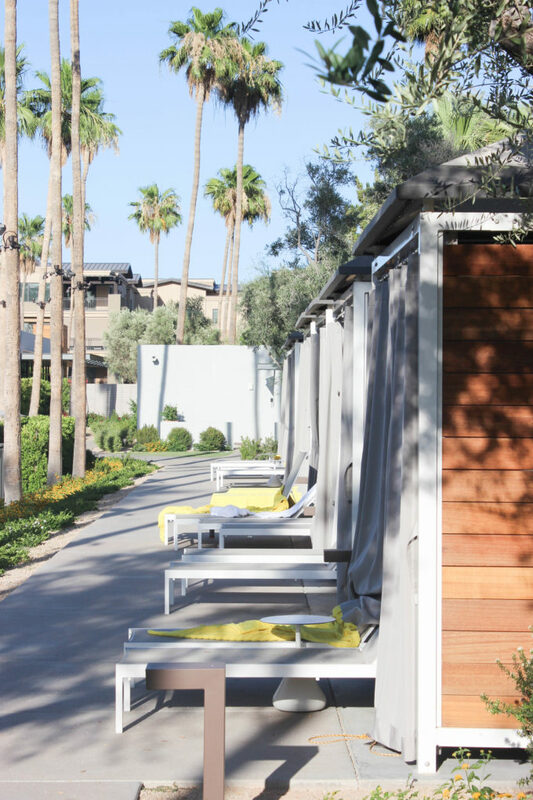 It was close to Phoenix airport so it was a perfect place to unwind and relax. We stayed at a lovely hotel called Anadaz Hotel and Spa. We did not explore much of the city we just hung at the beautiful pool. I got a massage at the spa which was great and we ate our meals at the restaurants near the hotel. 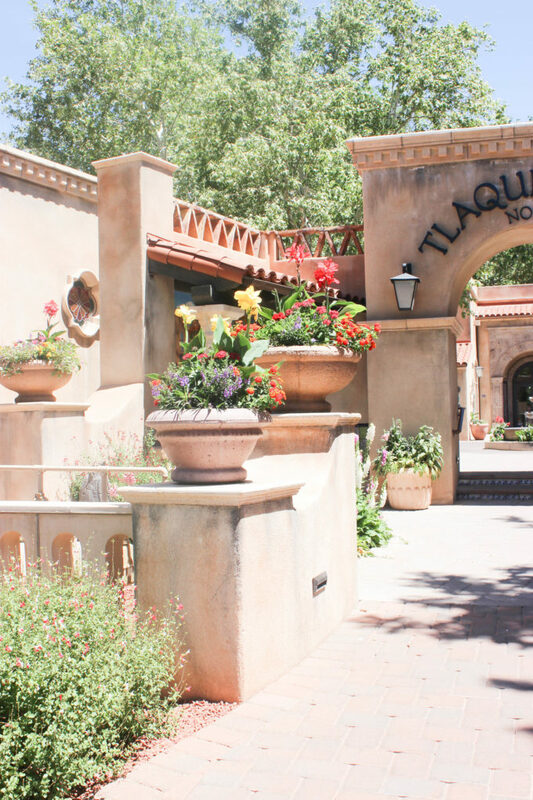 If you visiting Sedona Arizona. Here is a list of places and services we used. For more vacation ideas check my Santa Barbara trip. 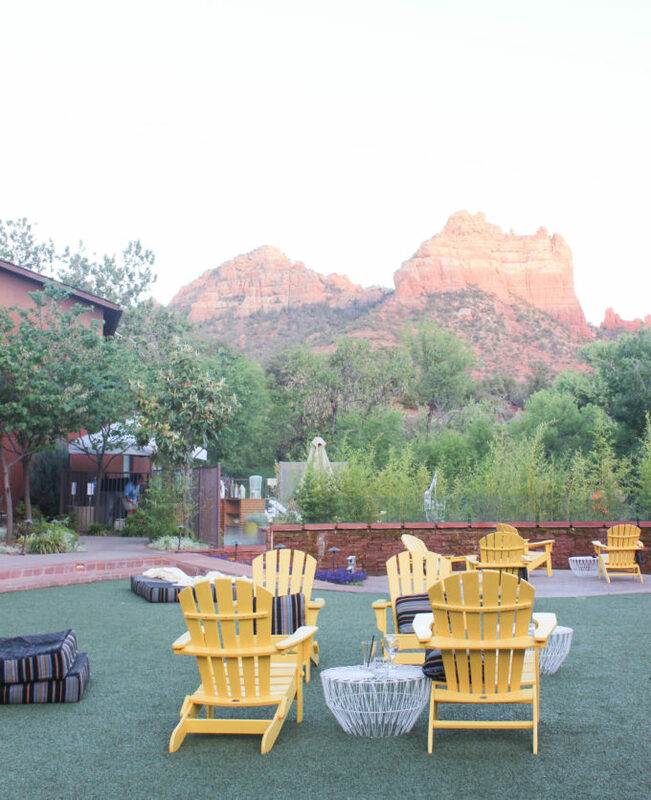 Thank you for the great write up on Sedona. I will use your experience in planning my trip. Sounds great, when are you going.